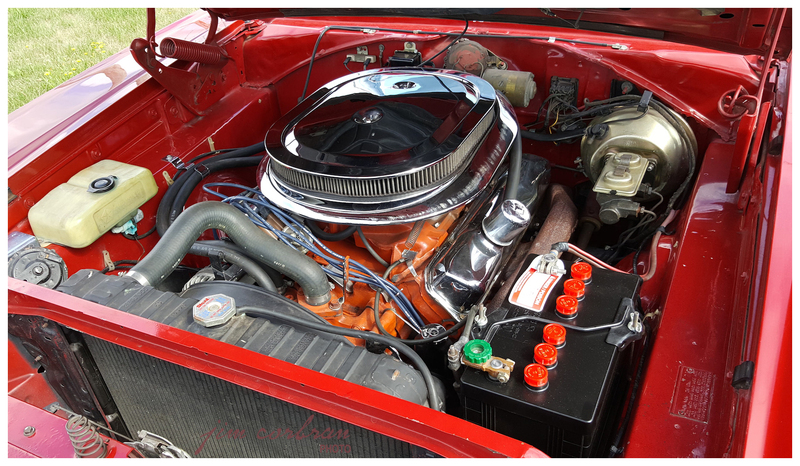 Wheatfield resident and Mopar fan Jim Harvie has his own theories on why, 49 years ago, the original owner of his 1969 Dodge Coronet R/T traded in a 1966 Chevrolet Chevelle SS for the car at a Colorado dealership. 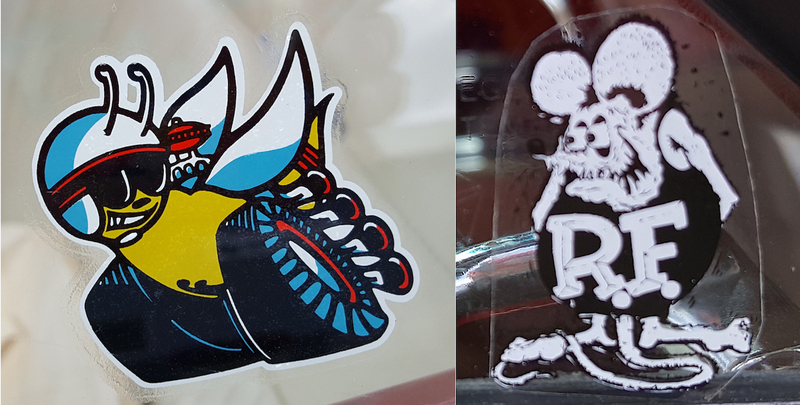 “He wanted to win some races!” Harvie laughed as his Chevy friends stood nearby. 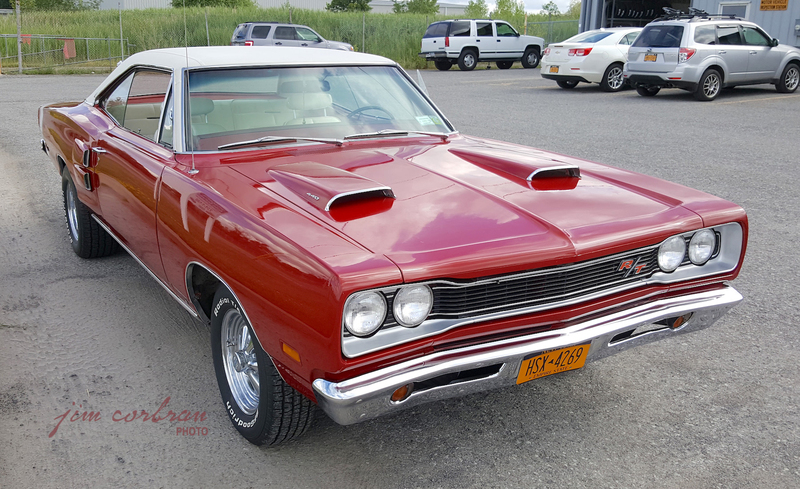 The R/T came standard with Mopar’s 440-cu.in. Magnum 4-bbl V-8. It put out 375 hp, which might sound paltry in today’s world of 600-hp engines, but in 1969 it was power to be reckoned with. 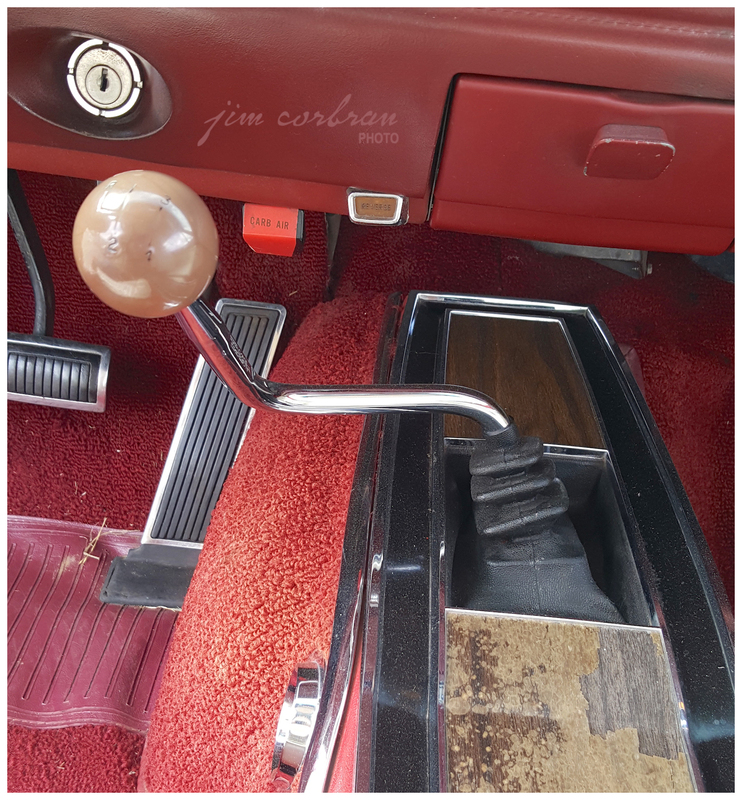 This car, an unrestored survivor, has the optional 4-speed transmission (with Dodge’s quirky-looking twisted shifter), as well as a white vinyl top and the power bulge hood with functioning Ramcharger air scoops. 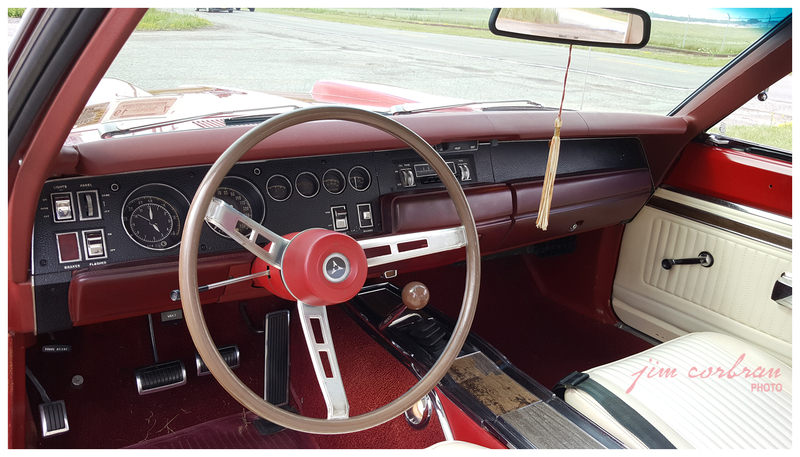 Harvie is the car’s fourth owner; his LaSalle High School Class of 1970 graduation tassel can be seen hanging from the rearview mirror.